Things are running a little behind this year. 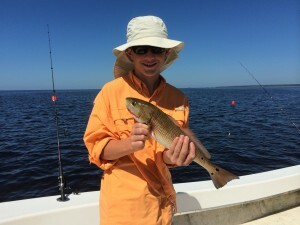 In a usual year, mid-October arrives with vast schools of mullet, whitebait, hordes of inshore Spanish mackerel, and lots of speckled trout on the flats, silver trout around the sand bars, and schooling redfish. 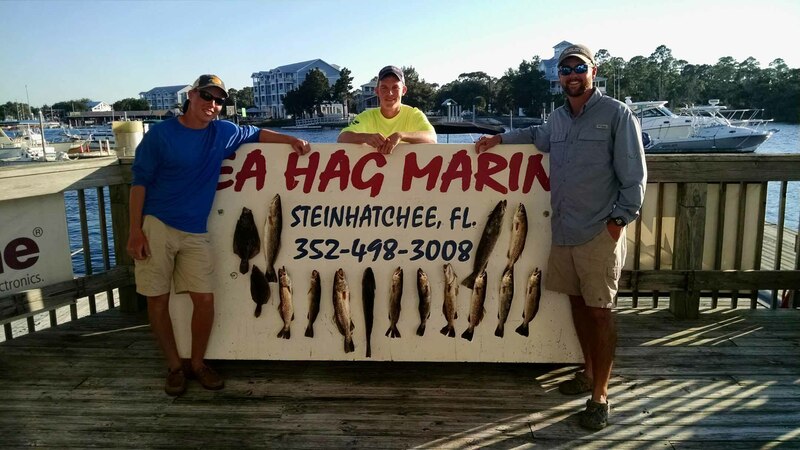 This has started to happen near the end of the month, but earlier this month, the fishing remained a little inconsistent. 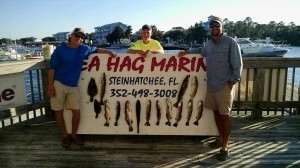 There were some great catches and some slow days. 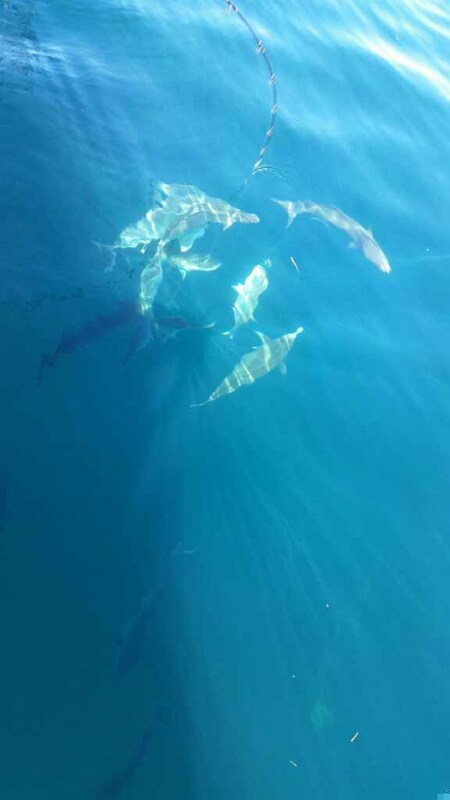 The water is very clear, and there is no evidence of any remnants of the very short red tide invasion earlier in the month. 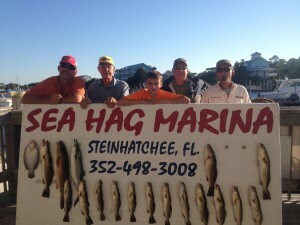 In reports I’ve gotten from Crystal River and Homosassa, the trout bite is slow as well. 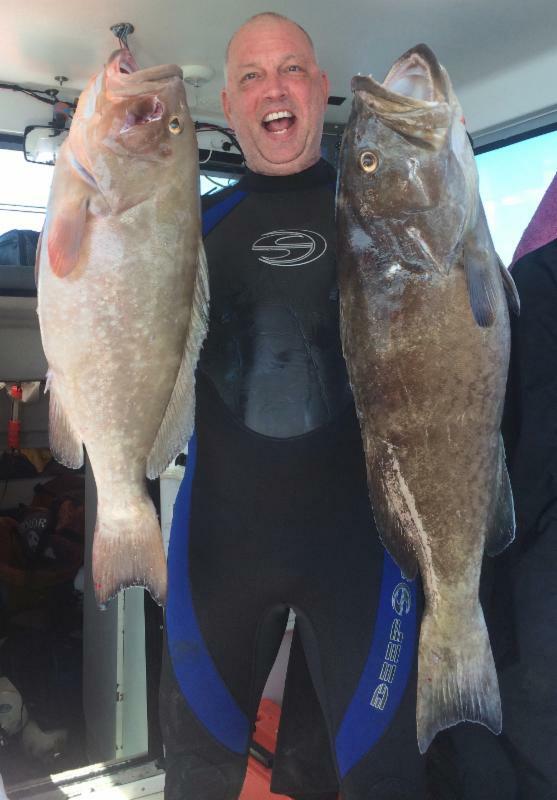 Numerous hot spells have kept the water temp up as well. As an example of the inshore inconsistency, on a Sunday I fished an area of rocks and mud and we caught 8 redfish and a 4.5 pound trout. Two days later, on the same tide, all we could find in the exact same area were jacks and bluefish. 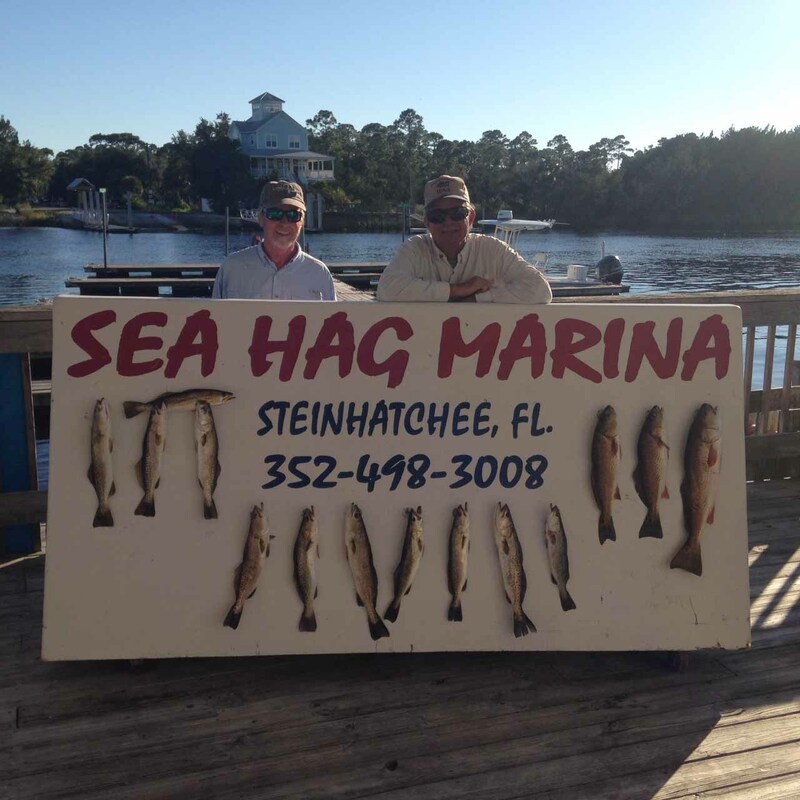 The major difference was that the first day, the morning air temps were in the high 40’s, which was up to the high 50’s two days later. 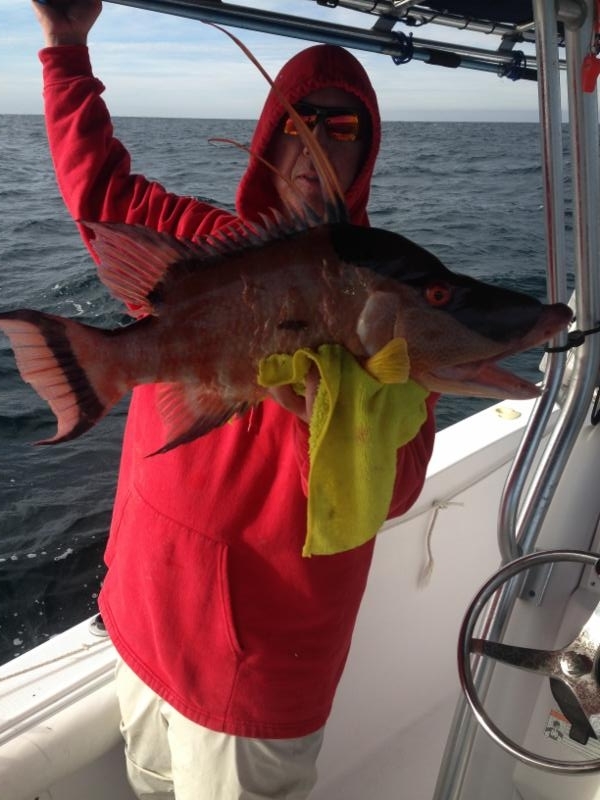 The darker bottom was less appealing to fish who weren’t as cold on the later day. 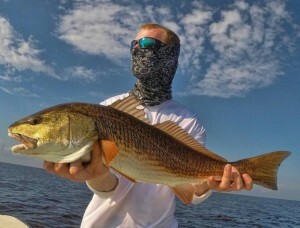 Many of the inshore guides, however, have had good limits of both redfish and trout, although many of the redfish are well over slot and staging for their offshore migration. With red grouper closed and only gag grouper available until December 3rd, attention has turned to amberjack, kingfish and cobia. 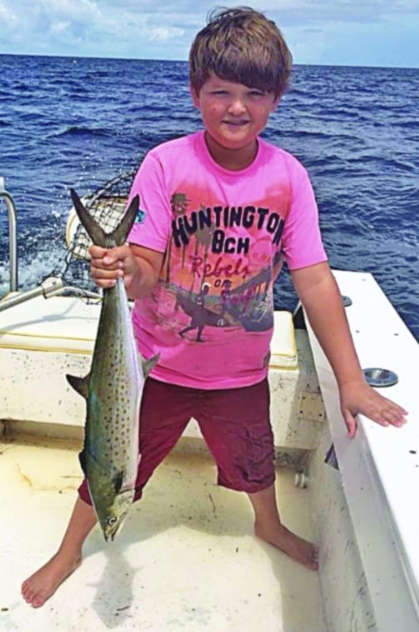 Predictably, captains fishing for gags have had to throw back many red grouper for every keeper gag they bring in…but they are fun to catch. 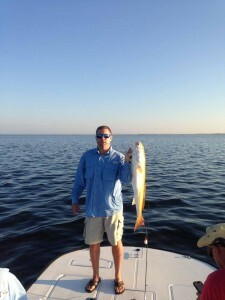 James Simpson with a fine hog snapper heading for the dinner table. 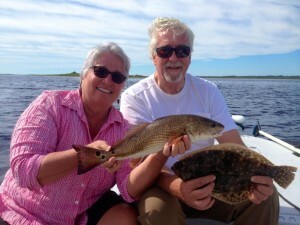 Lark Hayes from Chapel Hill, NC and Tom John from Nashville, TN with a fine redfish and flounder. 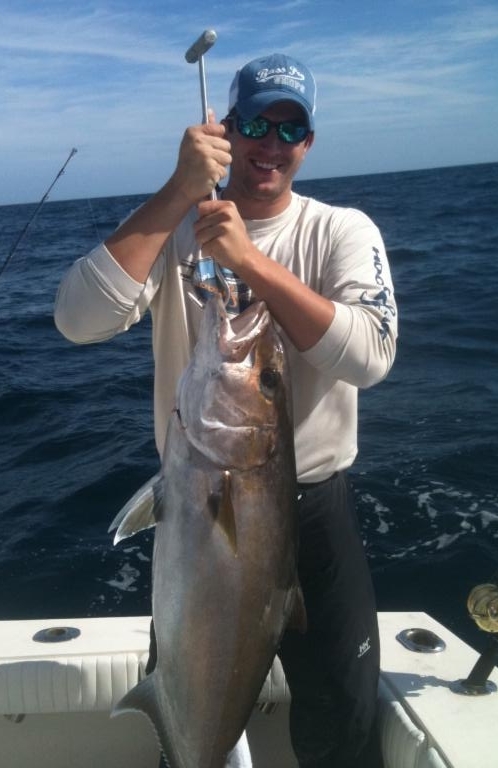 Mike Modisett, who formerly worked for the Coastal Conservation Association but has just moved to Texas, with a beautiful amberjack taken just before his move. 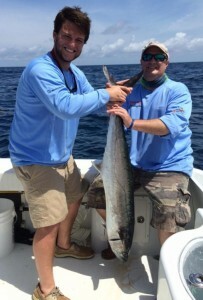 Coming over from Gainesville, Mike Potapaw and Jim Doyle with one of several kingfish caught on live bait. 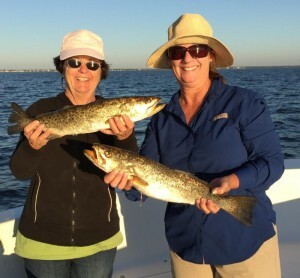 Another Gainesville duo, Pam Langford and Beth Kavanaugh with some excellent trout taken on the flats. Early in the month when red grouper were still open, Pete Severens displayed both red and gag groupers. 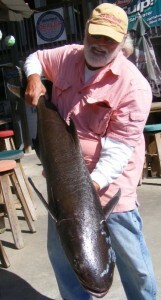 Judge Dave Reiman with a giant cobia. 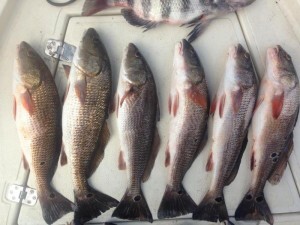 Some blackened redfish filets and sheepshead heading for Rob Deese’s table. 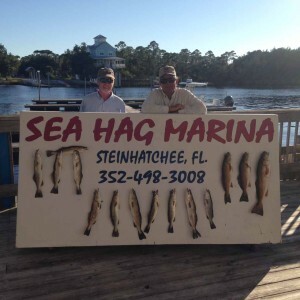 Down from Georgia, Jimmy, Tommy and Robert Oxford with a fine trout board (plus one redfish). 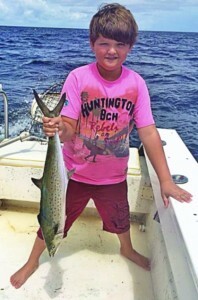 Zac Pritchett with his first Spanish mackerel. The first temperatures in the 30’s are forecast for the first weekend of November. This raises all kinds of possibilities. Will the trout come in the river? Will the silver trout show up soon? Will the mullet run take off? We will certainly find out. But if the weather remains more temperate, continue to fish for trout in 2 to 4 feet of water with popping corks. While Gulp baits will work well, some guides have started using pinfish filets under corks when the fishing is tough. Consider trout fishing around the Bird Rack and the area known as Doghead to the north, and Pepperfish Keys and the Sink Creek area to the south. 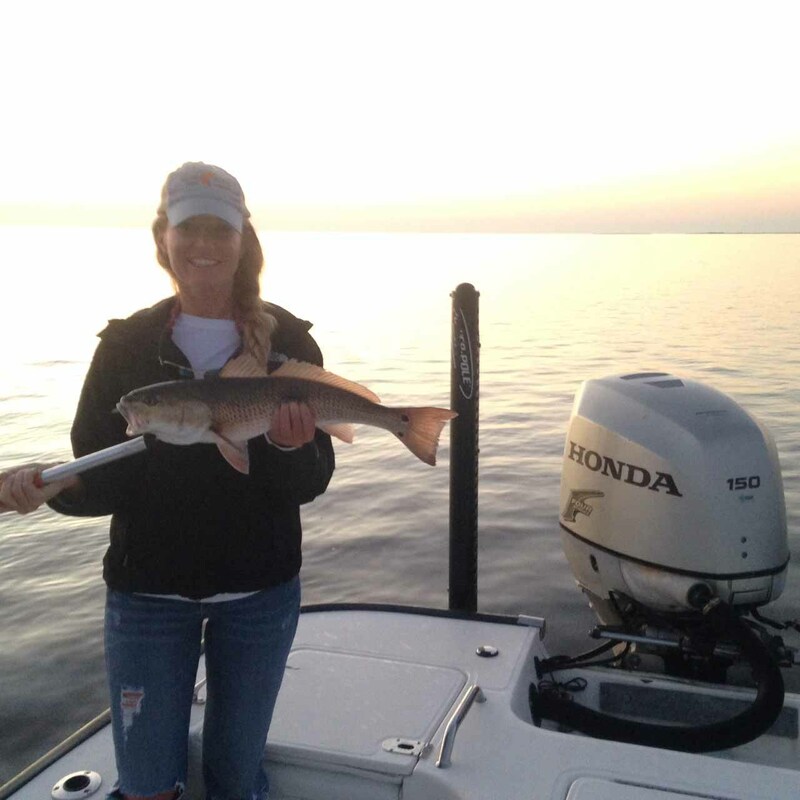 With cold weather, look for the trout to move into and out of the river when the flats warm up. 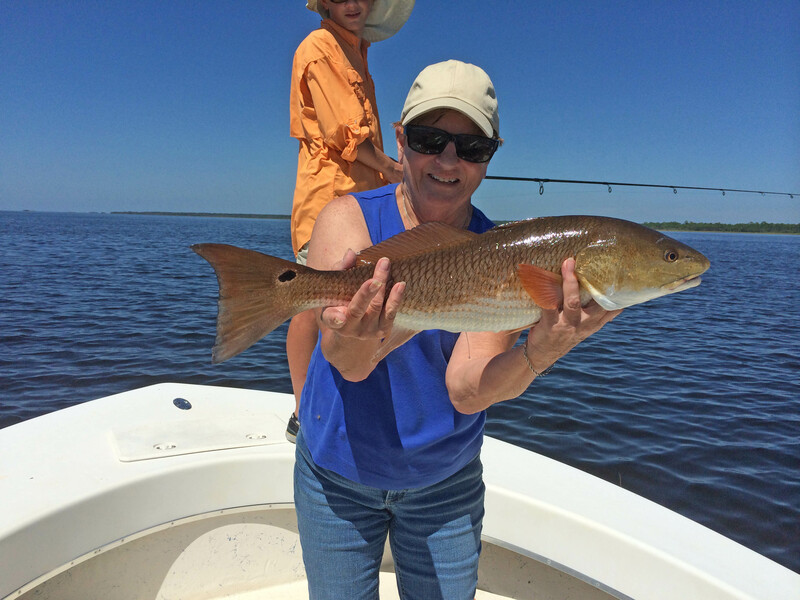 Redfish will continue to school, and you may find bull reds in the shallows. 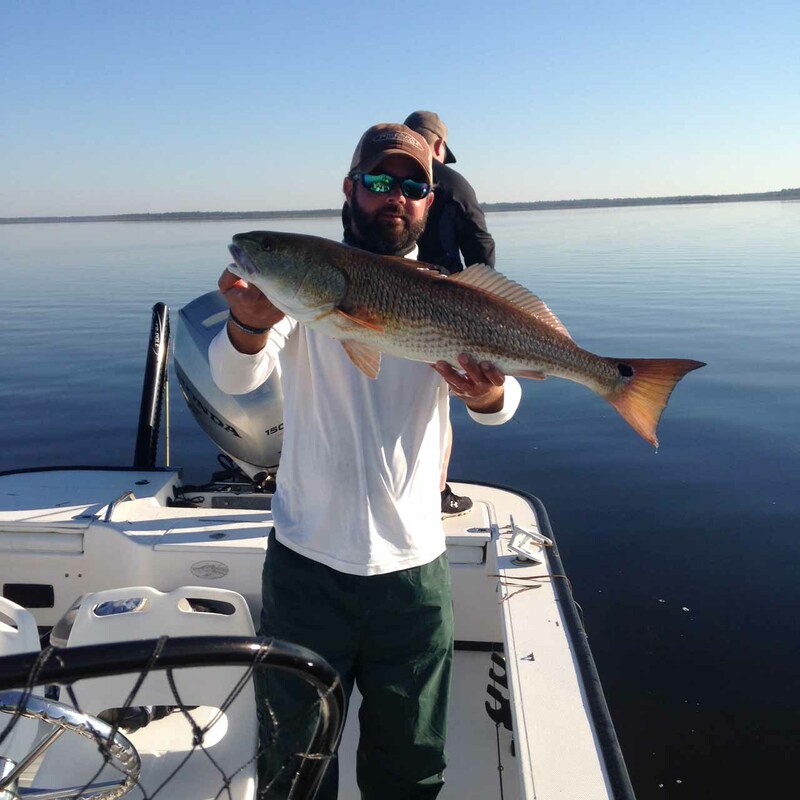 Fish shorelines with jigs and plugs, especially around rocks and oyster bars, or fish cut bait on fish-finder rigs to find those nice reds before they slow down for the winter. Offshore, cobia continue to be moving through our area, although they are not usually found on the flats. 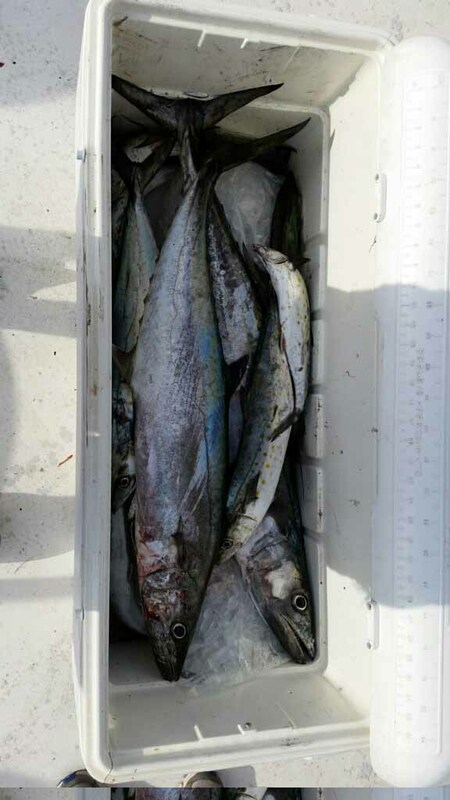 Fish offshore structure with live bait, and expect to pick up some kingfish in the same areas. Gags are moving well offshore; some divers have found very few in their usual 30 foot depths. 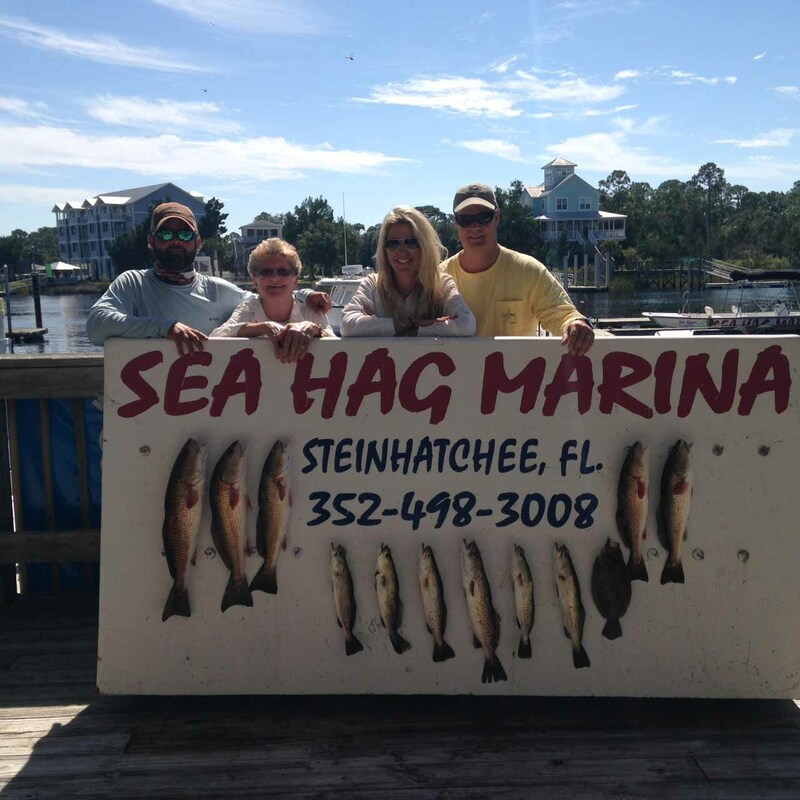 And remember….Sea Hag Marina has live shrimp, live pinfish, and lots of new tackle additions….VuDu shrimp, Logic Lures, and old standbys as well. 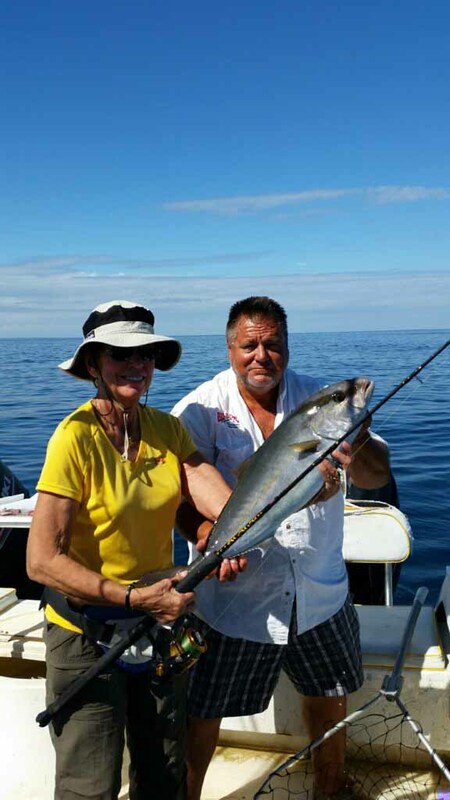 Mirrolure, Rapala, Sebile and Heddon lures, soft baits from Zman, DOA and Gulp….and we carry rods, reels, combos and can even put line on your reel. And the Ship’s Store has the latest in high tech fishing shirts, rain gear….everything you need. Here are some of our guide reports and pictures. 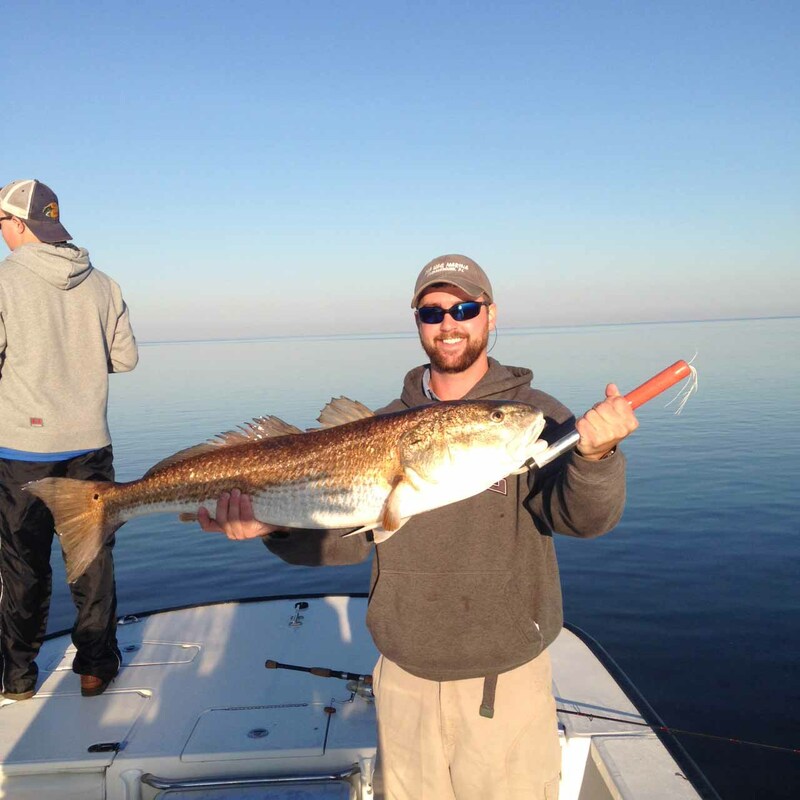 With the inconsistent bite, this could be the best time of the year to hire a guide and learn the area in a time of transition. 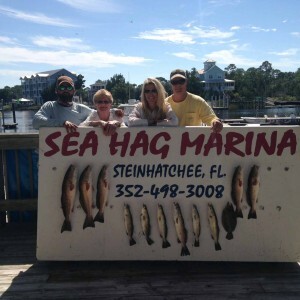 There have been lots of rumors about red tide in Steinhatchee. 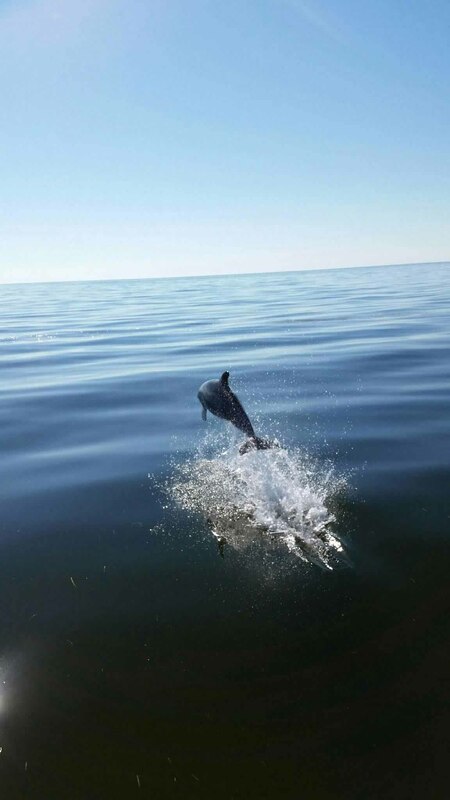 I have been on the water every day since September 15, and while there were some dead fish that floated in from offshore somewhere, I have noticed none in our area. My charters have managed to catch lots of trout and redfish all month. Some days you have to work harder than others. Just remember no 2 days are the same on the water. Move around until you find them. 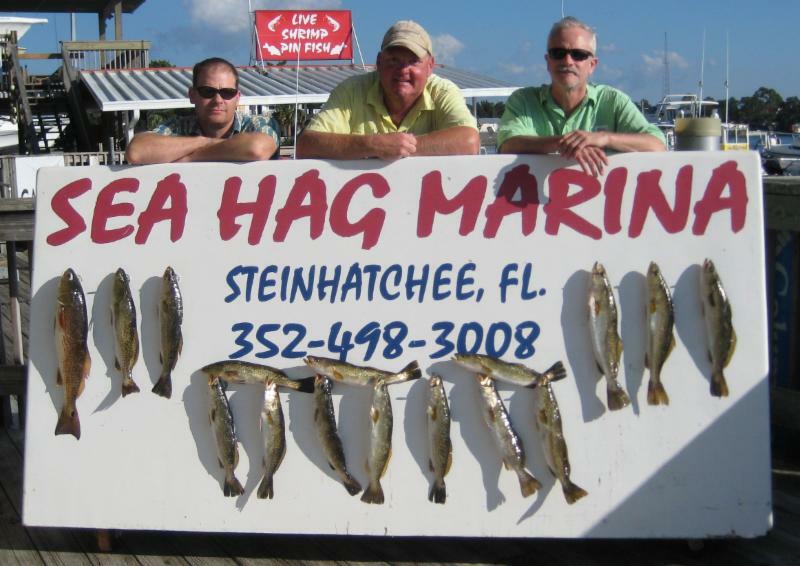 No sand trout yet but they are due any time now. 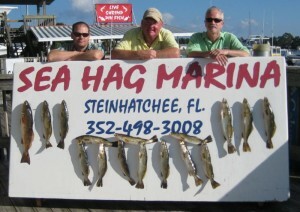 Lots of sea bass with quite a few keepers mixed in. 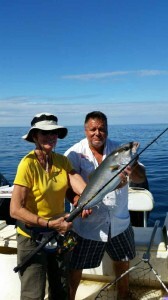 Still a few Spanish around the bars that have bait . 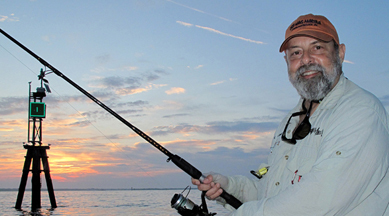 Tight lines and remember the fish are where you find them.